To ensure smooth operation of projects and maintain close communication with clients, iOne deploys a dedicated multi-skilled team to each project, ensuring that we meet the clients’ requirements while complying with regulations. Equipped with local understanding and connections as well as international exposure, our sales professionals form an important nucleus ensuring that we advise and serve our clients with cost-effective solutions before and after the printing process, so as to achieve optimal results. With a decade of experience, all our sales managers specialize in project management ensuring that projects are delivered strictly according to deadlines, in addition to responsiveness, efficiency and commitment to our clients. iOne has a well-developed in-house design team brimming with creative ideas and being impeccable in project execution. 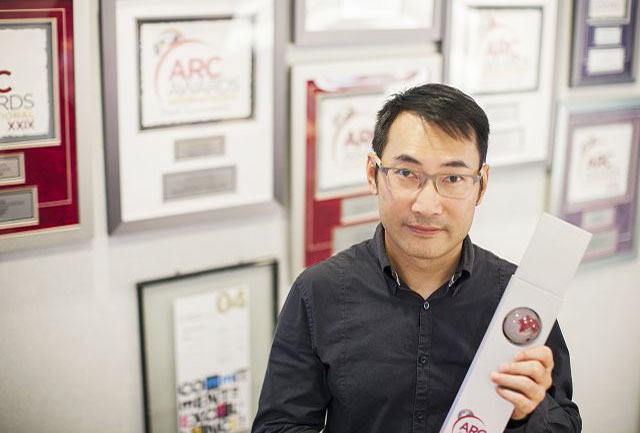 High quality production helped both our clients and iOne won multiple prestigious international and local awards for excellent design, including the international ARC Awards, Mercury Awards, Galaxy Awards, Astrid Awards, HKMA, HKPA and the Hong Kong Printing Award. Our professional design team has captured thousands of awards for our creative achievements, making iOne a constant winner in the past ten years. Besides, assisted by sophisticated technology of the top three software applications including Adobe InDesign, Arbotext A and Xyvision, our award-winning design team develops creative and customized designs for a wide variety of print publications, which enables our clients to stand out from the competition. Account servicing team consists of a group of expertise in handling client requests regarding production, translation arrangements and printing support with a superior attitude in serving our clients. For any queries and concerns about document production, our account servicing professionals are ready to assist the clients around the clock. With a detail-oriented manner, they would monitor the document production process to ensure successful implementation of printing projects and provide round-the-clock assistance for our clients. 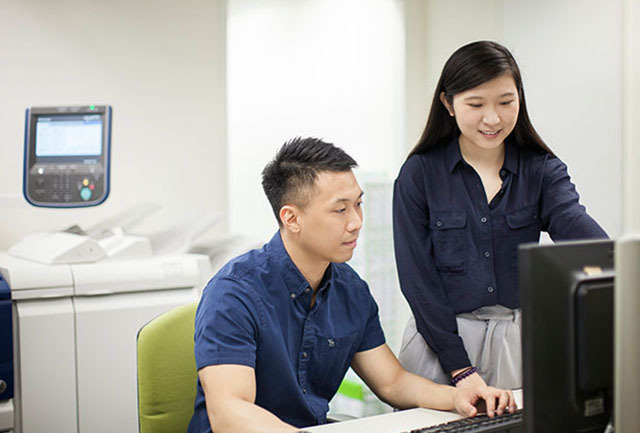 They would push printing projects to meet the tight media update deadlines imposed by HKEx and SFC, by securing timely and accurate e- submission and EDGAR (Electronic Data Gathering, Analysis, and Retrieval System) submissions on behalf of our client. Accuracy is an enduring characteristic of our company, and we have a single-source bilingual typesetting system in place to eliminate confusion and errors. This system allows us to edit content in a single source file rather than work on two versions, significantly reducing the probability of mistakes. This sophisticated real-time bilingual typesetting system allows our proofreaders to meticulously integrate submitted files into a typeset document without errors, regardless of the intricacy of the document’s design or the complexity of the text. In order to deliver accurate works, financial reports will be cross checked for a second time by the proofread department during the final stage. Our eagle-eyed proofreading team consists of experienced professionals who act as a final gatekeeper for each turnaround proof, ensuring the accuracy and consistency of the entire document. Since the selection of paper has a material impact on the effect of presswork on display, it is undoubtedly vital to choose properly designed paper from its numerous counterparts. Well equipped with professional printing knowledge and experience (particularly about special printing effect), our P&B department offers great support to the design department in its unrestrained artistic work. 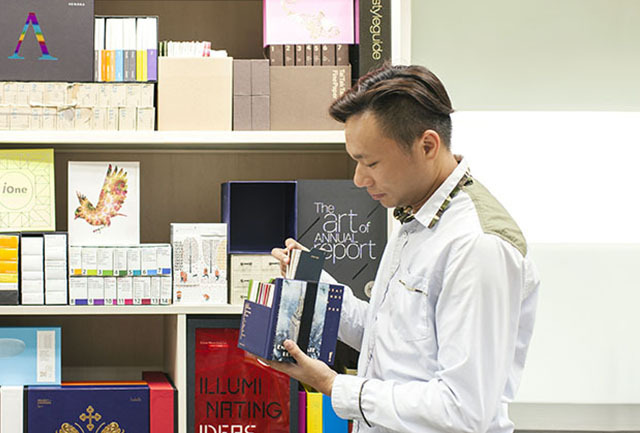 Accurate paper selection and exquisite design led to satisfactory final products, helping iOne become a unique brand in the industry. Experienced professional translators are well-prepared to undertake translation projects of varying scope and complexity to produce the most accurate results amid the shortest of turnaround times. iOne Translation have specialized knowledge of business and financial terminologies, together with an in-depth understanding of both Hong Kong and Mainland China language usages and respective tone specializations. Their collective work experience cuts across a wide range of industries, and their linguistic abilities allow iOne to offer precise language translation to and from English, Traditional and Simplified Chinese for use in any type of financial document.